Enterprise grade Wi-Fi. Operational simplicity. Enterprise-wide mobile connectivity is no longer optional. It’s business critical. But that’s no excuse for it to be costly and complex. 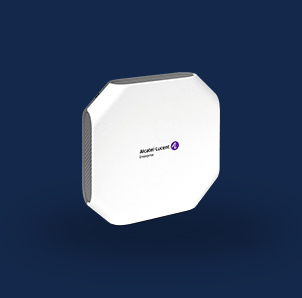 The Alcatel-Lucent OmniAccess® Stellar WLAN solution is built and designed using unique architecture automation and intelligence to make Wi-Fi a less demanding technology to configure and deploy. 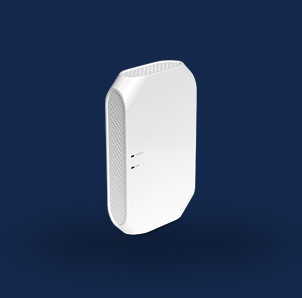 Designed specifically to deliver fast, easy, scalable Wi-Fi connectivity, OmniAccess Stellar WLAN means simple deployment, superior radio coverage, unified access, easy management and a superlative, secure user experience. Superb performance, availability, resilience, and scalability. OmniAccess Stellar WLAN’s distributed intelligent architecture and native unified access offer the very best in performance, availability and QoS, while its smart analytics means applications are properly managed in the network starting from the air and do not waste any of your precious internet bandwidth. Secure and automated. For today and tomorrow. Even the fastest, most accessible wireless network is worthless unless properly secured and future-proof. Built using the latest technologies and innovations, including IoT containment, OmniAccess Stellar WLAN connects and protects both your devices and your investment. Securely and automatically. Only got five minutes? This at-a-glance guide summarizes exactly what you can expect from the OmniAccess Stellar WLAN solution. Discover how to accelerate time-to-deployment with distributed Wi-Fi control, and turn raw speed into great, value-adding experiences. Discover the unique combination of technologies that makes your Wi-Fi work harder, so you can get more done, for less effort. Discover the demands of tomorrow’s Wi-Fi today, in this visual overview. Discover Wave 2 Wi-Fi powered by ALE, and discover Wi-Fi designed for the way people work today. Download them all here or individually by clicking below. Efficiency, safety, reliability, experience – discover the hardworking Wi-Fi that delivers all this and more in transportation.